Editors’ Note: This text is a cross-post from Groundviews and was published on 27 October 2018. The original text can be viewed here. There were three dramatic announcements on the evening of Friday 26th October 2018 from the Presidential Secretariat, which occurred in the following order: (a) the announcement of the withdrawal of the UPFA from the government; (b) the swearing-in of Mahinda Rajapaksa before President Maithripala Sirisena as the Prime Minister; and (c) the announcement that the President has informed Ranil Wickremesinghe in writing that he has been removed from the office of Prime Minister under Article 42(4). Even if the legality of the procedure and the clarity and meaning of the relevant constitutional provisions can be debated, the fact that the event was planned in complete secrecy, with no consultation of Parliament or giving the serving Prime Minister and Cabinet the courtesy of even a short prior intimation before the course of action was made public, that it was suddenly carried out on a Friday evening, and that it has taken the country by total surprise, point to some extremely questionable motives. Indeed, the whole set of circumstances suggest not the way a change of government ought to occur in a democracy, but the sharp practices associated with a constitutional coup, which is likely to lead to a constitutional crisis. It is a constitutional coup because the serving Prime Minister has not legally ceased to function in office before a new Prime Minister has been appointed. And it will lead to an unprecedented constitutional crisis because there are now two competing Prime Ministers and their parties jostling for power, authority, and legitimacy at the very heart of the state. Until one of these persons – Mahinda Rajapaksa or Ranil Wickremesinghe – can demonstrate that he has the confidence of Parliament through the support of a majority of MPs, and force the President to accept the will of Parliament, the crisis will not be resolved. Only time will tell what long-term damage this does to Sri Lanka’s constitutional fabric. After the Nineteenth Amendment was enacted in 2015, the Prime Minister can only cease to hold office by death, resignation, by ceasing to be a Member of Parliament, or if the government as a whole has lost the confidence of Parliament by a defeat on the throne speech, the budget, or a vote of no-confidence (Articles 46(2) and 48). Since the Constitution after the Nineteenth Amendment specifies these ways in which the Prime Minister ceases to hold office, and has impliedly removed the previous power of the President to remove the Prime Minister at will, it follows that there are no other ways in which this can happen. In particular, the President can only appoint another Prime Minister where the serving Prime Minister has lost office in any one of these ways. It is clear that the serving Prime Minister has not ceased to hold office in any one of these ways. Rather, the President has purportedly removed the Prime Minister from office by acting under the provisions of Article 42(4), which states that the President shall appoint as Prime Minister the Member of Parliament, who, in the President’s opinion, is most likely to command the confidence of Parliament. The President seems to have taken these words rather too literally than is constitutionally permissible. When this provision speaks of the President’s opinion, it contemplates not the subjective and personal opinion of the President as to which MP is best suited to be Prime Minister, but an objective and constitutional view formed by reference to who can command the confidence of Parliament. This is usually, although not always, the leader of the largest party represented in Parliament. Prime Minister Wickremesinghe survived a vote of no-confidence by a substantial majority earlier in the year. No other canvassing of Parliament’s confidence has occurred since then, or before the purported appointment of Rajapaksa tonight, and therefore the President can neither constitutionally remove a Prime Minister who has not lost the confidence of Parliament nor appoint another in his place. It must also be stated that Article 42(2) speaks only of the appointment of the Prime Minister by the President and says nothing about the removal of the Prime Minister by the President. While the power of dismissal could be assumed as inherent to the power of appointment in the constitution prior to 2015, the Nineteenth Amendment has changed this by now providing expressly for the specific ways in which the Prime Minister can be removed (under the previously noted Articles 46(2) and 48). That these procedures have not been followed render the purported presidential acts tonight illegal and unconstitutional. If the parliamentary numbers have changed since Wickremesinghe’s confidence vote in April in favour of a majority now supportive of Rajapaksa by, among other things, the withdrawal of the UPFA from the national government – presumably the basis for tonight’s presidential acts – then it is also not clear why Sirisena and Rajapaksa did not choose to take the constitutional path to removing Wickremesinghe by defeating him in Parliament first. The crisis will be prolonged if Rajapaksa cannot swiftly demonstrate his command of Parliament, but the strategy he and Sirisena have followed tonight shows that they have chosen to seize the political initiative and momentum by the element of surprise, with the probable intention of consolidating their hold on the state machinery and in particular the police and armed forces over the weekend, before conforming to constitutional and parliamentary niceties. They would also quite correctly have concluded that technical illegalities would not effectively be justiciable, because it is unlikely in the extreme that the Sri Lankan courts would risk a venture into such a high-stakes political game. This kind of behaviour of course is entirely normal in Rajapaksa, and to his credit, he has never pretended to be anything other than a banana republic presidential populist. But Sirisena was elected in 2015 exactly to instantiate changes to curtail this dubious and destructive strain in Sri Lankan politics. His descent from the heroic standard-bearer of high idealism to a despised villain of the lowest form of low politics has been truly Miltonian. 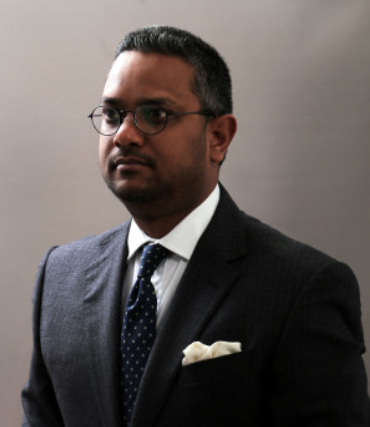 Dr Asanga Welikala is a Lecturer in Public Law at Edinburgh Law School and the Director of the Edinburgh Centre for Constitutional Law.